Garbage Classification, From the Recognition of Garbage Start! We are Waste Solution Supplier. Todat, Today I'm going to show you about garbage. Waste is produced in the human daily life and production of solid waste, because of the large amount of discharge, the composition is complicated, and has the polluting, resources, and social needs, resource utilization, reduction and innocuity socialization process, if cannot be handled properly, will pollute the environment, environmental hygiene, waste of resources, production and living security, destroy social harmony. Waste disposal is to remove waste quickly, and carry out harmless treatment, and finally make reasonable use of it. Sanitary landfill, high - temperature compost and incineration are widely used today. The purpose of waste treatment is harmlessness, recycling and reduction. 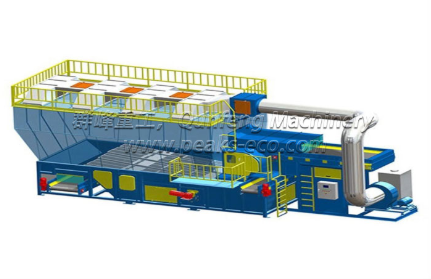 If you have demand about Waste Sorting Plant, welcome to contact us! NextRecycling Processing Save Energy So Objective!